Asus just announced the new ZenFone 5 at the Mobile World Conference in Barcelona. It brings an iPhone X like notch, powerful speakers, and dual cameras with a wide-angle lens. The ZenFone 5 Lite (5Q in North America) is not far behind. Most surprising of the lot is the Zenfone 5Z, which comes with Qualcomm’s best and latest Snapdragon 845 chip and seems capable of competing with the likes of the OnePlus 5T. Here’s what else you need to know about the ZenFone 5, 5Z and 5 Lite specs and features. All three devices come with a rear-mounted fingerprint scanner, dual SIM capabilities and an uncanny resemblance to the iPhone X. The Zenfone 5Z is the priciest of the lot, retailing at around the $500 mark and is available in Midnight Blue and Meteor Silver colours. The pricing on the Zenfone 5 is unclear at this time, and the device will be available in Midnight Blue and Meteor Silver colours. It’s unclear when these devices will hit the market at this point, but I guess that it would be sometime in the latter half of 2018. The Zenfone 5Z seems to be the most promising of the lot and might have what it takes to dethrone the OnePlus 5T. 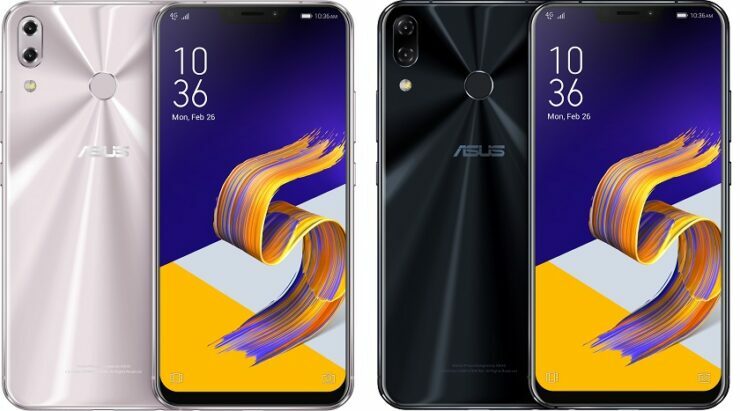 Related The OnePlus 6, ASUS Zenfone 5Z And ASUS Zenfone 5 See Cool Discounts – Take A Look!